This puzzle is used to reinforce the numbers 0-10. 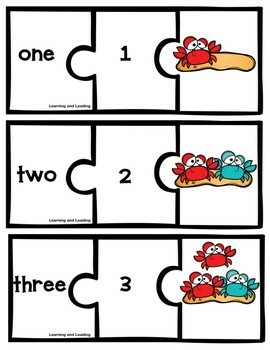 The puzzle consist of a three-piece puzzle. One side has colorful crab clipart. 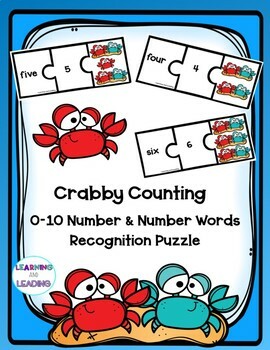 The other side has the number that corresponds to the number of crabs on the other side, and the third piece has the matching number word. 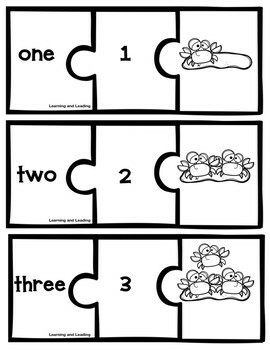 The puzzle pieces are both in color and in black and white for you to print on colored paper. 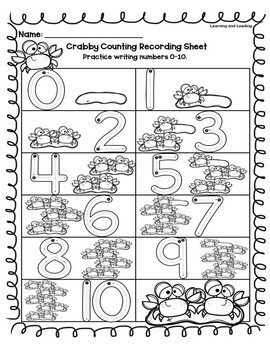 Additionally, there is a recording sheet for students to practice writing the numbers 0-10. I hope that your students enjoy this resource as much as I enjoyed creating it. If you have any questions, comments, or concerns please feel free to reach out to me. I hope that you return to my shop and leave me positive feedback.